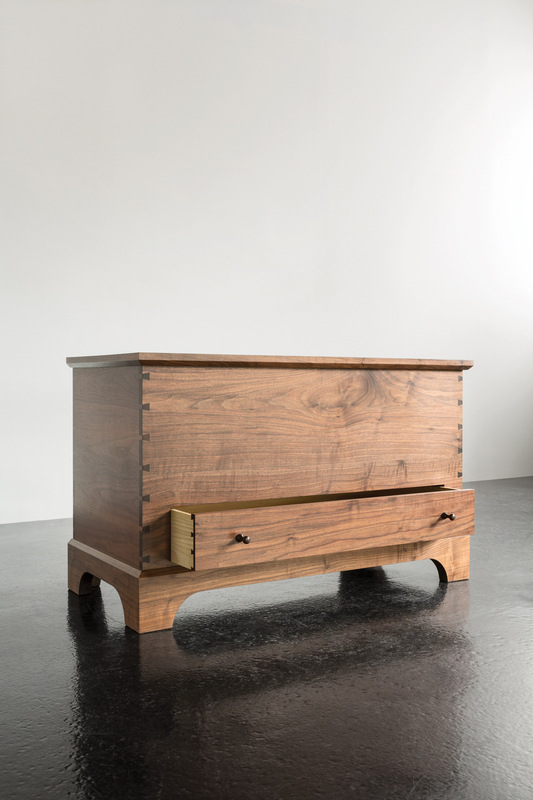 Easily mistaken for an heirloom antique, the design of our Blanket Box transcends tradition, allowing it to mesh in even the most contemporary environments. 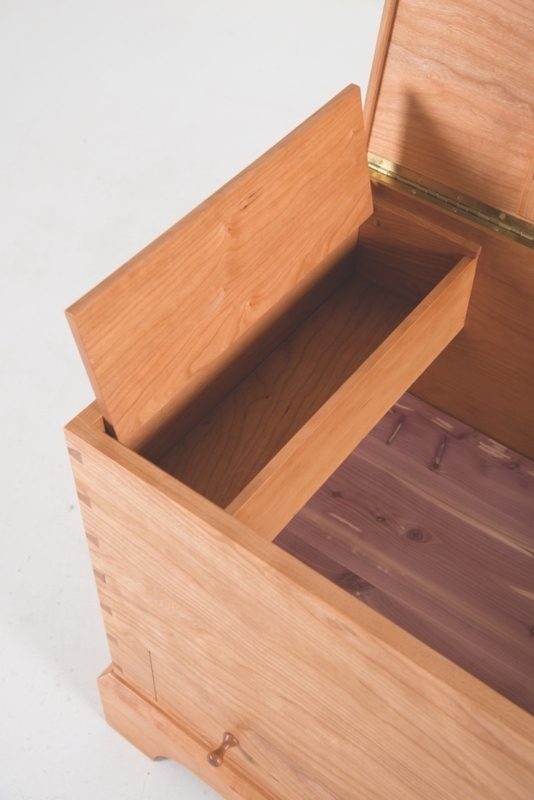 Shaker craftsmanship resounds throughout the structure of the Blanket Box in both its form and its construction, which employs exposed dovetail joints that are as challenging to perfect as they are beautiful to observe. 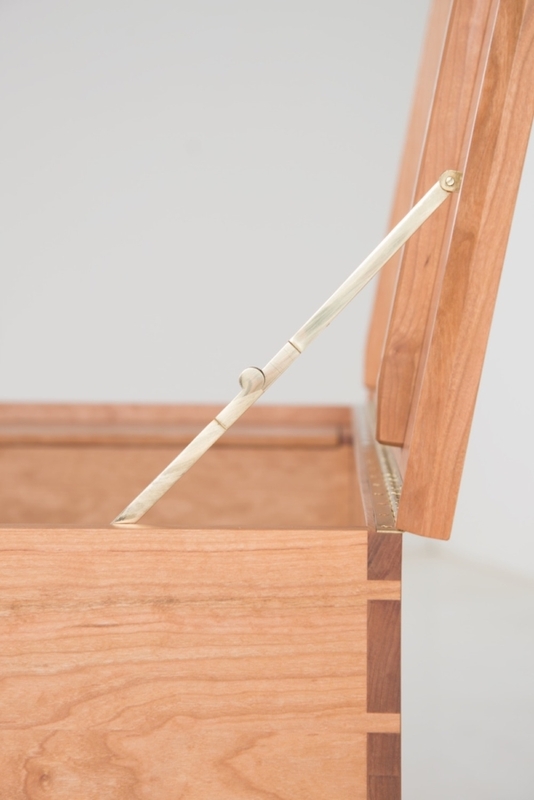 Designed with a subtle lower drawer, the box provides two means of access – both front and top – making it ideal for separating contents according to the frequency of their use. 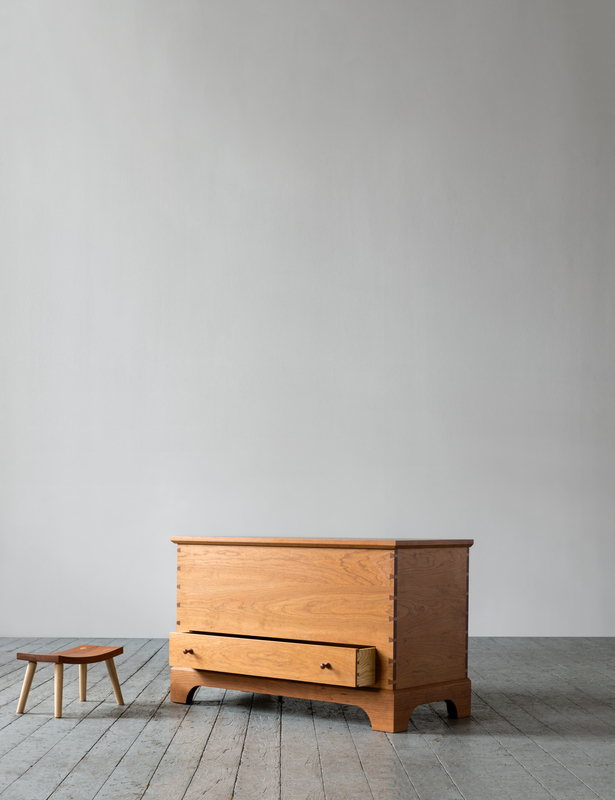 The box can be made in a range of North American hardwoods to equal effect, with lush grains exposed through its durable hand-finished surface. 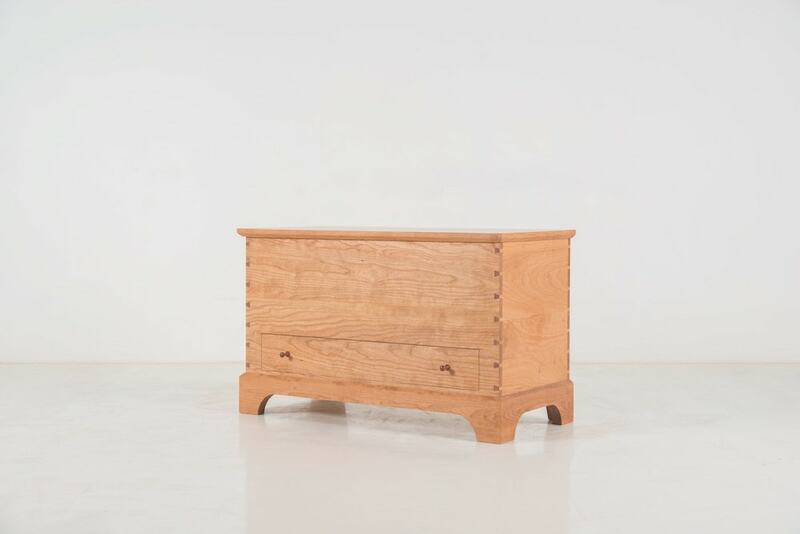 The Blanket Box is, to our mind, an essential piece for any bedroom setting; one versatile enough to warrant a place in a thoughtful living space. Made in a range of workable hardwoods. The box is stark in its simplicity, comprised of five broad surfaces that reveal the intricate grain structure of the chosen wood. 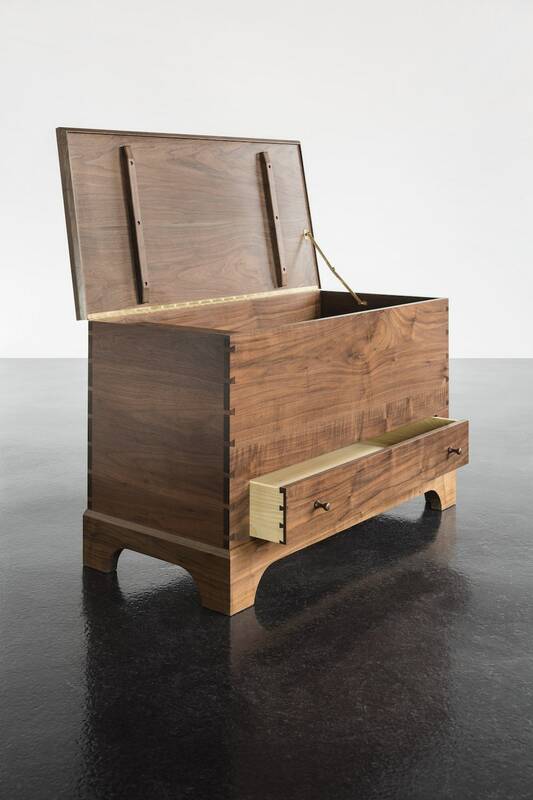 Made nominally for blankets, the box offers two useful compartments – with a voluminous case on top, and an almost hidden drawer at the bottom. The top is accessed with an easy lift of its hinged top, closing to present a broad surface for decoration, or even a seat of last resort. The drawer pulls in and out with ease on a set of hardwood slides that perform seamlessly even with age. 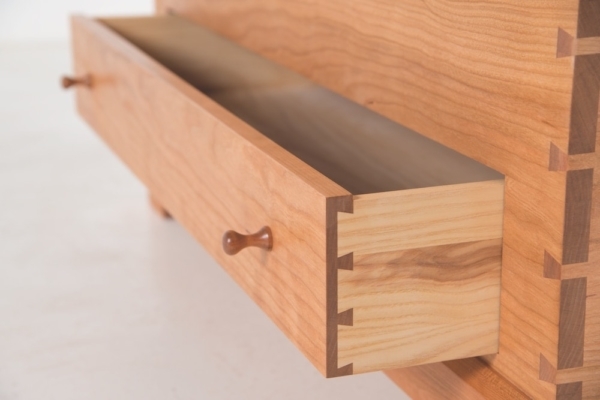 The drawers dovetailed front nests in perfect alignment with the front of the box, and is accessible through the use of two wooden knobs. 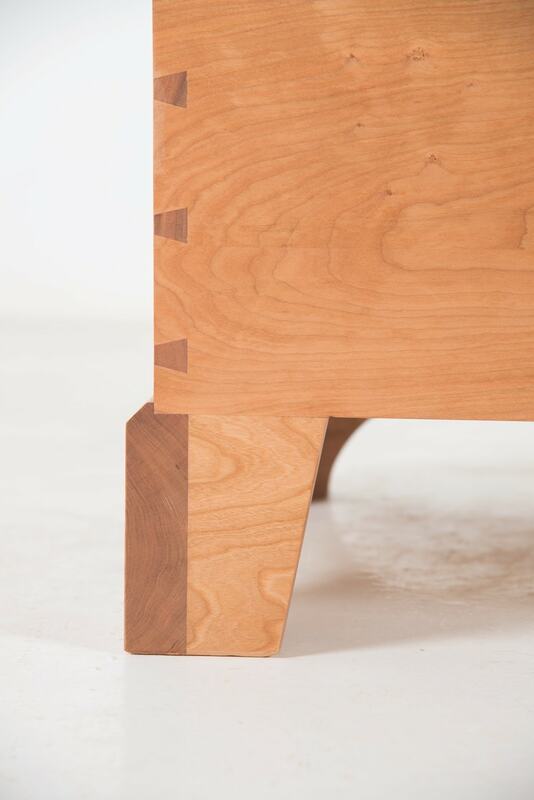 A durable leg structure finishes the aesthetic of this future heirloom. Crafted of mortise-and-tenon-joined planks that form a curtain as they give way to four stout legs, the base is sturdy and sure, standing the Blanket Box in good stead for generations of use.